I don't know quite what to say about this book... It is really quite difficult to gather my thoughts and explain what I'm thinking. I liked the book. It was a easy to read despite the heavy undertones, but I can't quite explain why I liked it. 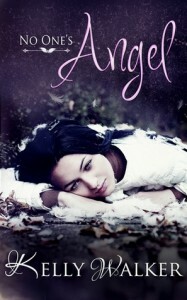 It begins with Angel (who is on the run from her nutter of an ex-boyfriend) turning up on the door step of Arion (a lovely guy she met and grew close to online). I liked that this book was centred around an online relationship. It may seem far-fetched and unbelievable to some people that such a strong bond can form between two people who have never actually met, but I know quite a few gamers and I've seen a close friend maintain a relationship with someone who she met via an online gaming community so I was open to the concept and I thought that it was portrayed very well. Angel is incredibly damaged by her past and Arion... On the surface he seems to have it all together but underneath he is also damaged. He's just damaged in a different way to Angel. Arion and Angel were likable characters but... I don't know how to explain it really beyond they were missing that special spark that made them come alive for me. The secondary characters weren't all that fleshed out and unlike with most new adult books I'm not burning to read more about a secondary character, or more on the primary characters (Arion and Angel) either. I guess I'd sum this book up as an enjoyable (but ultimately forgettable) read. Still, if you are a New Adult fan wanting to get lost for an evening, give it a go. It's better than alot of the titles available in the New Adult market.